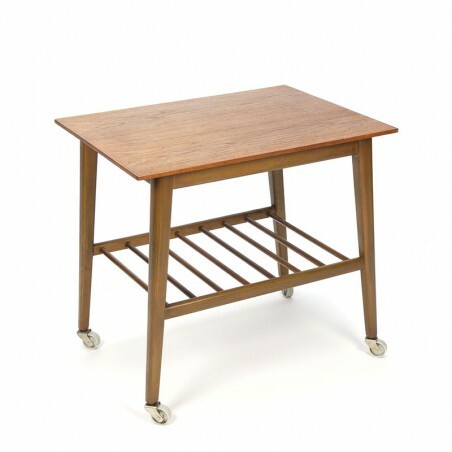 Vintage side table from Denmark, sixties. 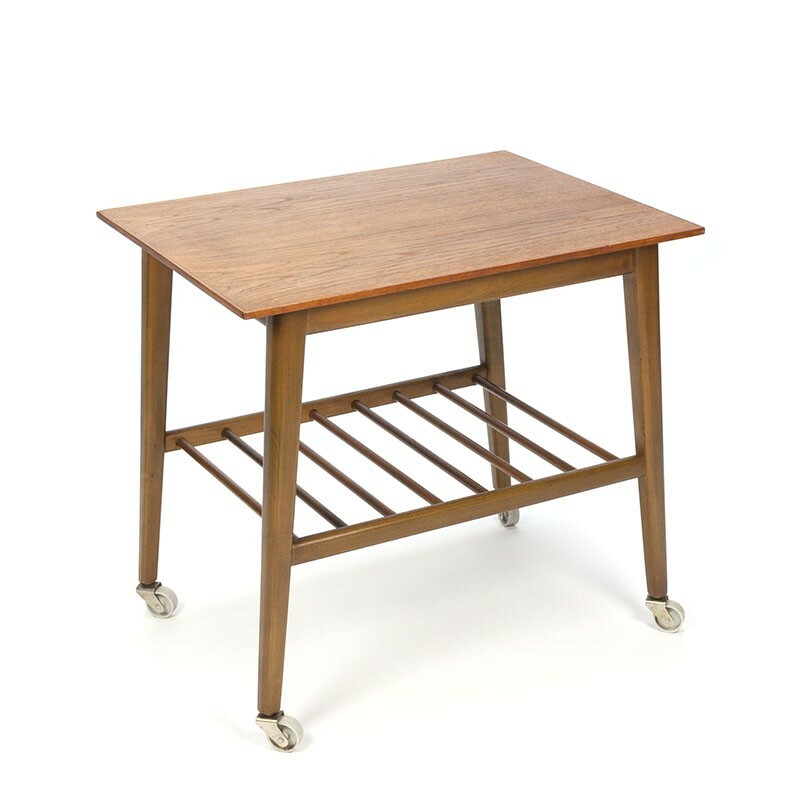 The furniture has a teak top and below that a space with bars where, for example, bottles or magazines can be stored. The condition is good considering the age, only very light traces of use, see details. The dimensions are 60 cm wide, 45 cm deep and 55.5 cm high.